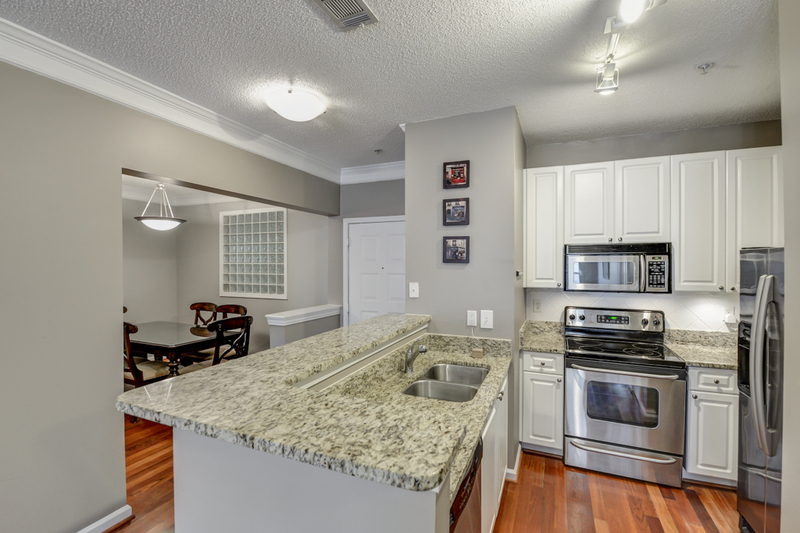 Beautiful end unit, top floor 2BR/2BA condominium with views of Villa Christina gardens located in Brookhaven! Features bldg fob access, hardwood floors, entry foyer, formal dining room, kitchen with granite countertops, breakfast bar, stainless steel appliances, pantry and views to family room. Master suite features a dual sink granite top vanity with makeup area, walk-in closet and tub/shower combo. 2 assigned parking spots. Villa Sonoma features a clubhouse with theater room and catering kitchen for special events, pool and beautiful walking trails. Brookhaven Police Department’s satellite office is in the Villa Sonoma building, plus walk to shops and restaurants galore nearby! Brought to you by RE/MAX Around Atlanta, Office: 404-252-7500 & Collette McDonald, Direct: 770-500-8400.